Enjoy some highlights from previous Peoples’ Paddles! Congratulations to Luke Wallace and our inter-islands community on the release of “Turning the Tide,” recorded live on Salt Spring on Turning the Tide 2017!! Together, we WILL protect this Salish Sea! 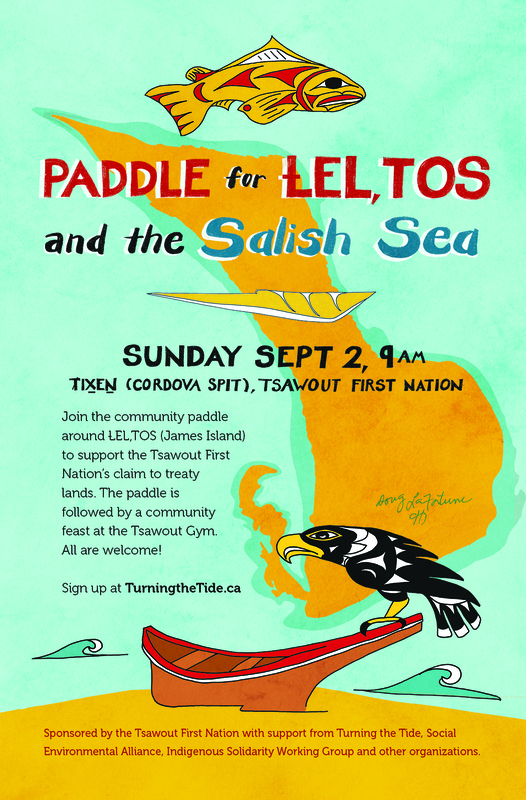 Highlights from the Turning The Tide 2015: The Peoples’ Paddle for the Salish, a five-day human-powered journey through the islands and waters of the Salish Sea – building community and raising awareness for solutions beyond the petroleum-based economy. Highlights for the inaugural Turning The Tide: The Peoples’ Paddle for the Salish Sea, a human-powered flotilla that travelled from Vancouver Island to Salt Spring Island to Pender Island and then back to Vancouver Island to demonstrate the participants’ love for the Salish Sea and raise awareness about the threats posed by the expansion of fossil-fuel infrastructure and the necessity of the transition to the post-petroleum economy.